We're organizing for economic justice & democracy - on campus and across Tennessee! With more than 1,800 members on 16 campuses across Tennessee, UCW is a powerful voice for higher education employees in our state! We've been working to create positive change for staff and faculty on public college sand university campuses for over 17 years. By coming together and standing up for one another, we've won major victories for ourselves, our coworkers, and our communities. Attend your union's 2018 Statewide Convention in Nashville September 29! 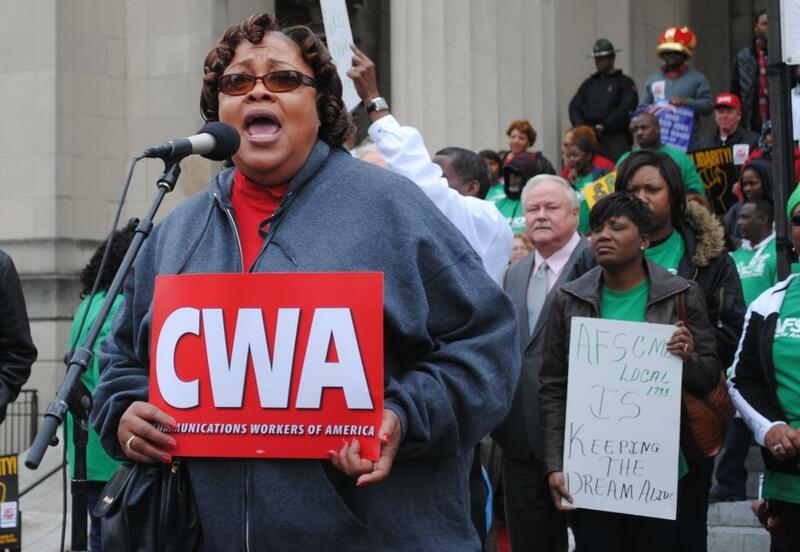 RSVP for United Campus Workers - CWA Local 3865's annual statewide convention! Read more about Attend your union's 2018 Statewide Convention in Nashville September 29! Read more about why here! Read about United Campus Workers in "In These Times"! It features members' stories from our beginnings to now! Read more about Read about United Campus Workers in "In These Times"! Grad students would owe a new tax on their tuition waivers. Campus employees would owe a new tax on their tuition benefits. Our kids and spouses would pay taxes on the tuition discount we get. Student loan interest would no longer be deductible. University and college endowments would also be taxed.